Choose from Sunset Lodging's three property management programs. Are you looking for a great investment? 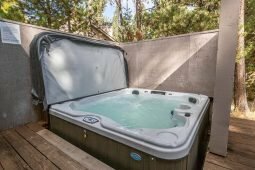 Consider purchasing a Sunriver vacation rental. Whether it’s for occasional vacation use, investment, or retirement purposes, putting it onto a vacation rental program is a smart way to make some additional money from your real estate investment. We’ve compiled a list of some additional benefits that you get when you have your home on our property management program. We are a family run business that has been specializing in the FIT market and delighting Sunriver visitors for over 30 years. Our proven marketing strategies, impeccable service and passion for serving the Sunriver community set us apart from our competitors. In 2017, Sunset Lodging celebrated 30 years of business and we are very proud and excited to have been able to serve our clients and customers for so many years. Sunset Lodging was the first company in Sunriver to offer a full color brochure. 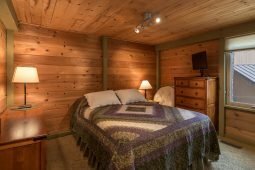 Sunset Lodging was the first company in Sunriver to offer clients the ability to access and book their reservation information online. Sunset Lodging does not charge owners a “website” fee to post their property and we happily split the cost of professional photos while most of our competitors charge fees for these activities. Sunset Lodging was the first company in Sunriver to offer a “Sunset Perks” program for our guests and owners. Sunset Lodging was the first and is still the only company in Sunriver to offer FREE high-speed internet access to our guests and owners in ALL of the properties we manage. Sunset Lodging started when a number of our competitors had already been well established. Through an aggressive fee structure, good customer service and excellent marketing, we are and have been the largest independent management company in Sunriver for the last 11 years. Sunset Lodging is one of the largest room tax collectors in the unincorporated areas of Deschutes County. Sunset Lodging contributes time, energy and money into a number of charitable organizations. Sunset Lodging strives to do a good job for our clients and guests while providing a healthy work environment for our employees. Our clients are our best advocates. 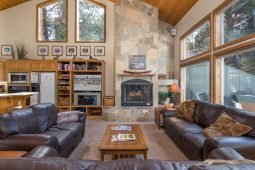 Please read through our owner testimonials page to see why our clients entrust us with the management of their property here in Sunriver. This is the most common form of property management. We are always looking for homeowners to participate in this program due to the increase in reservation activity in the recent past. This service offers innovative marketing techniques for increased reservations, professionally certified housekeepers and maintenance personnel, and professionally certified, highly trained, customer service oriented vacation planners. With Sunset Lodging’s Independence Owners Program, you get all the benefits of a professional property management team without all the cost. Plus, you’ll have the opportunity to make money in the process. A definite win-win situation for everyone involved. We also have a referral program where you can refer potential guests to us if your rental is full. If that referred guest books with us you receive a 10% referral fee on the reservation. In the Security Check Program, we conduct weekly security checks to help you maintain your vacation property. We report our security checks to you for proper maintenance if it is needed. Feel free to contact us with any questions you may have about Sunriver property management from Sunset Lodging. Fill out the form on this page to receive more information about our resort property management programs. Fill out the form on this page to contact us via email. Someone will get back to you promptly. At Sunset Lodging, we have vacation planners available seven days a week to assist you. 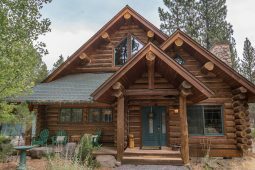 Sunset Lodging in Sunriver is located at 56935 Enterprise Dr. in Sunriver, Oregon.